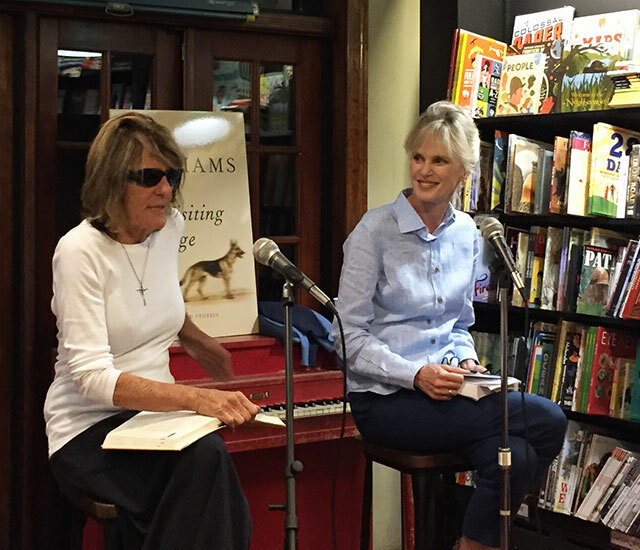 Joy Williams and Siri Hustvedt were at Community Bookstore to discuss Williams’s new collection of stories The Visiting Privilege. Hustvedt begins by describing the collection: short, mostly five to twelve pages in length with an emphasis on a present tense. The past is allowed to creep into the present, but for the reader there is a strong sense of the now, she explains. Williams responds that she believes that the short story excels at those characteristics. They are meant for the present now. “The characters don’t have a future,” she says. She says that people all yearn to be thinking about more important matters. But we don’t. In fiction, these things can be blurted out. Hustvedt says in some of the stories the girls are narcissistic monsters and calls them horrifying. “We all know these beloved daughters,” Williams says–girls who are well into their thirties but behave much longer. Williams believes stories should capture who we are as people. “We are American writers absorbing the American experience,” Hustvedt says. Williams is concerned though about the direction of American fiction. Too much fiction is getting selfish and self-referential, she offers as a critique. It will change soon. She says this both wishfully and knowingly. Young American writers need to change.